Introducing our new service dedicated to the Surprise area! 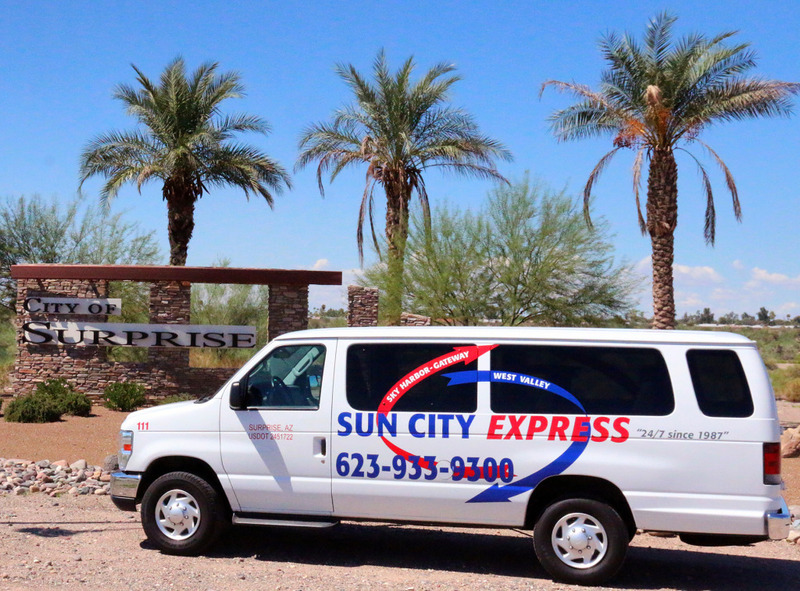 Our Surprise passengers now receive more direct service to/from Phoenix Sky Harbor and Mesa Gateway Airports. Limiting our vans to a maximum of 3 stops, we can ensure that your ride will be quick and comfortable. – To make a reservation, please call our office at (623) 933-9300 or click here to book online.